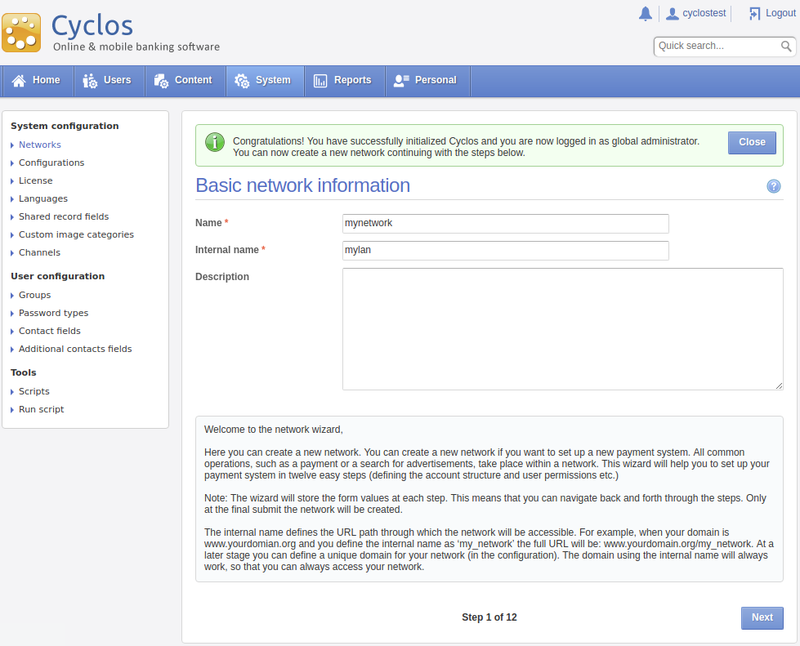 Cyclos is a multifunctional online banking system with extra modules for e-commerce, communications and many other features in this field of activities. It’s pretty easy to use and maintain along with a high level of flexibility and customization. 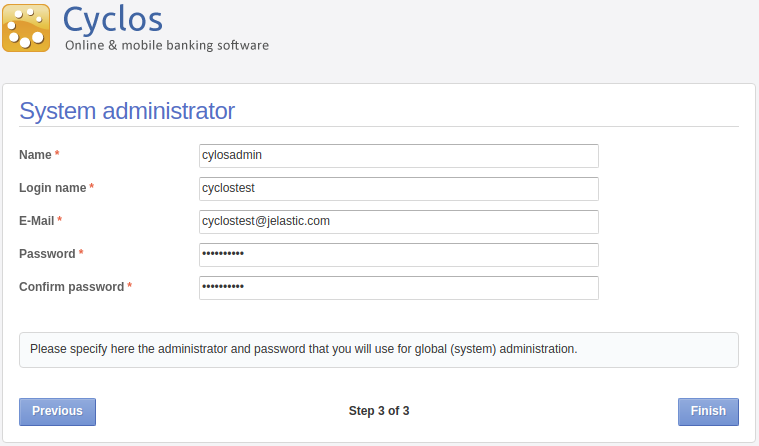 With a dynamic structure of Cyclos, you can create a dedicated payment system from scratch just by changing the configuration. 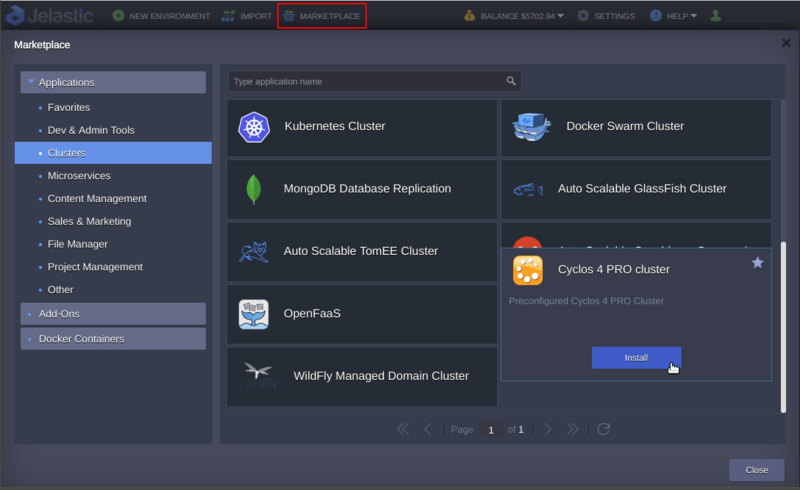 This tutorial shows how to easily get a complex Cyclos cluster with master-slave database replication, scalability, and High Availability ensuring redundancy enabled within Jelastic PaaS. The installation process is fully automated. High Availability helps to prevent failed transactions and other performance troubles that can influence your users. Extending the application across a number of servers provides redundancy. 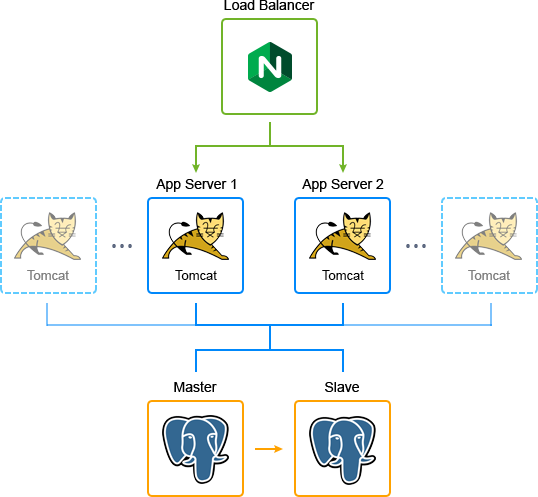 It ensures that if one server fails, the users from that node will be automatically switched to the other instance of this Tomcat cluster. Thanks to the replication, the other instance already has all the sessions of the failed node, so end-users never notice any change. In addition, the PostgreSQL database master-slave replication improves the performance and the failover capabilities of the solution. 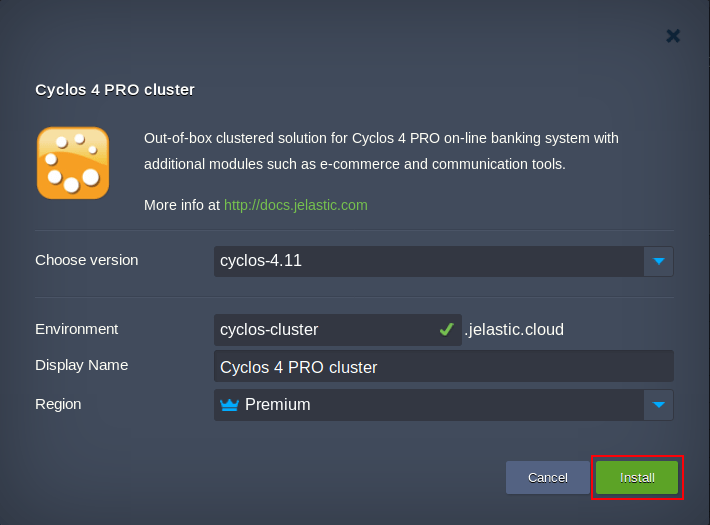 Sign in to your Jelastic account, find the Cyclos 4 PRO cluster in the Marketplace and click Install. 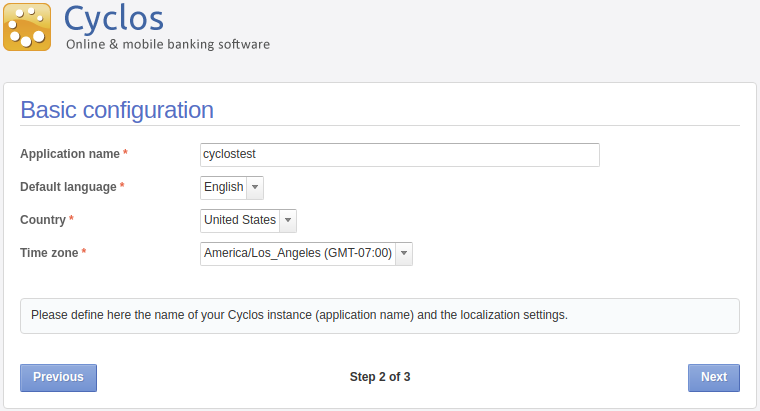 If required choose the Cyclos version, change the Environment Name, Display Name, Region and click Install. 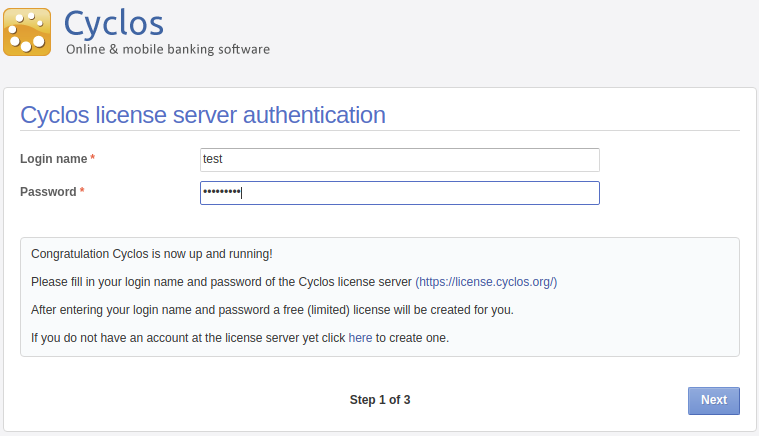 Open your Cyclos license server authentication page pressing Open in Browser in successful installation window. Then, you need to go through the several steps of Cyclos configuration wizard using credentials you’ve registered at the Cyclos site before. That’s all! Now you have your own Cyclos 4 up and running. 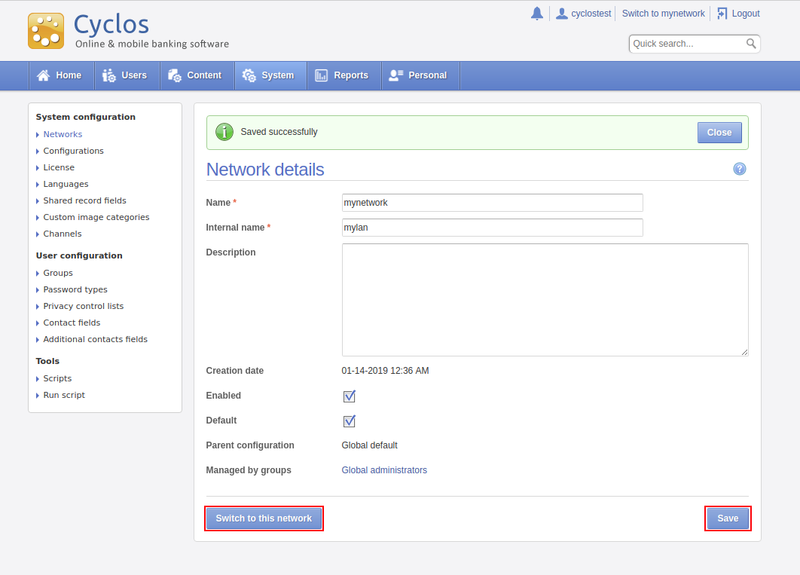 Pass through 12 steps of configuration wizard in order to create your new network. Filling out the configuration forms, pay attention to the tips and descriptions. 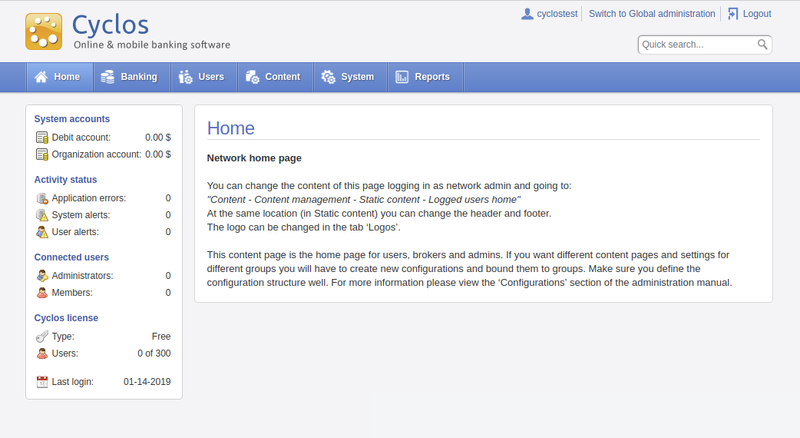 As soon as new network is created, save configuration and switch to this network with respective buttons. 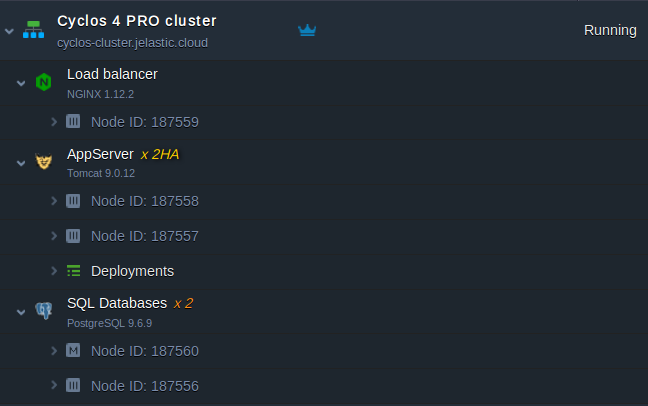 Finally, restart application server nodes with Restart Nodes button at the Jelastic dashboard. 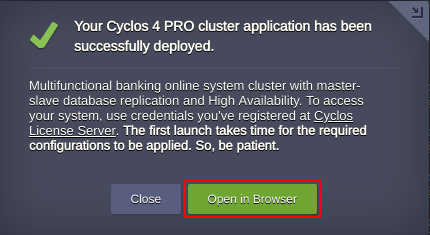 Refresh the Cyclos application web page or press Open in Browser button to get both application servers re-read configuration and start working in High-Availability mode. This cluster ensures that no server is a single point of failure. And the cloud ensures that one server failure doesn’t overload the rest ones. To secure traffic to your Cyclos portal use Let’s Encrypt SSL Add-On. Register and try out this implementation for your custom project to feel the benefits of own banking system hosted in the cloud. 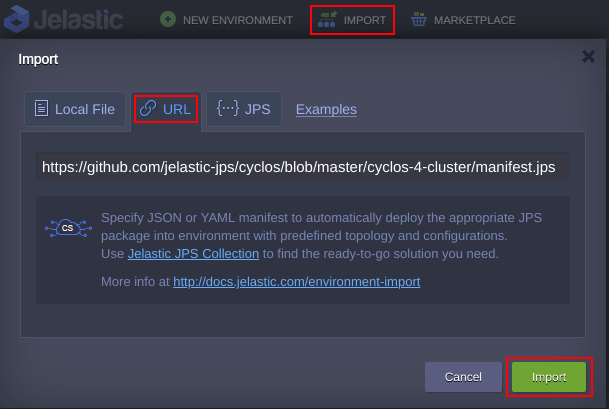 Feel free to leave the comments below about your Cyclos clustering experience and stay tuned with Jelastic to get more clustered solutions.